This series of acoustical test chambers are ideally suited for product development or production testing. 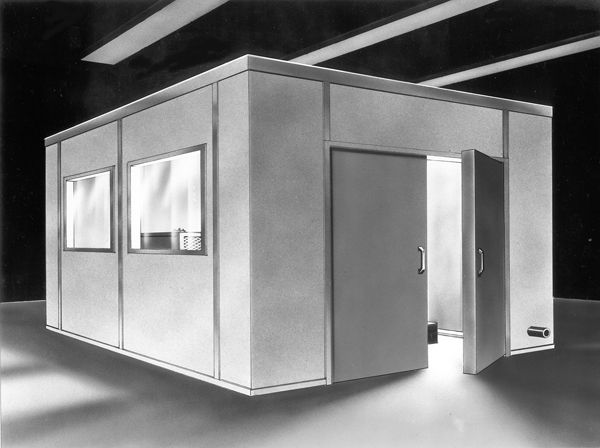 Modular construction permits quick and easy installation. The attractive finished test chamber is rugged enough for a permanent installation yet retains all the features of a demountable unit. Each element has a durable epoxy finish with a decorative beige exterior and ivory interior. As normally supplied, enclosure modules are responsive to broadband noise. However, panel modules may be specified with optimum sound transmission loss and absorption coefficient for the desired test frequencies. Each chamber may be sized to meet explicit test criteria. 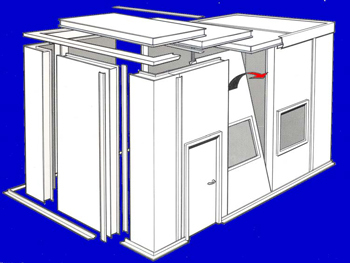 Again, modular construction allows the user to modify chamber configuration without obsoleting existing hardware or degradation of acoustical performance.